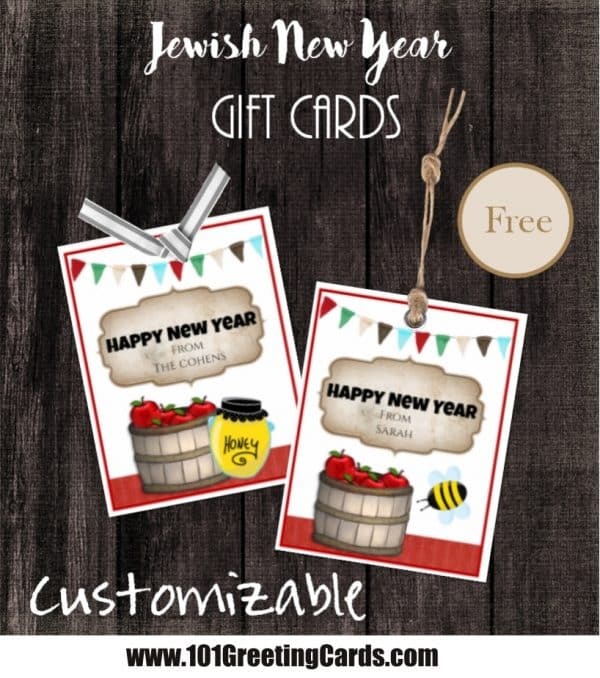 Free printable greeting cards / gift cards for the Jewish New Year (Rosh Hashana). There are six greeting cards on a page. Click on “customize” to open the greeting card maker and type in your name. If you do not want to personalize each gift card then just erase “from” and “name” by clicking on the little “x” on the top right hand corner.